Last Friday, I was invited to Shoreditch studio for the Sleek Destination S event. To fit in with the holiday theme, the studio was set up like an airport terminal, with lots of stalls where we could try out the new products and get ourselves colour matched. Like all terminals, there was also a chill out lounge and duty free shop, where we could use our 'sleek money' to buy a few items from their permanent range. Inspired by the bright sun and the blue seas of the Mediterranean, this range features an iDivine palette in Monaco, a bright pink blush in Santorini and a pink pout polish in Monte Carlo. 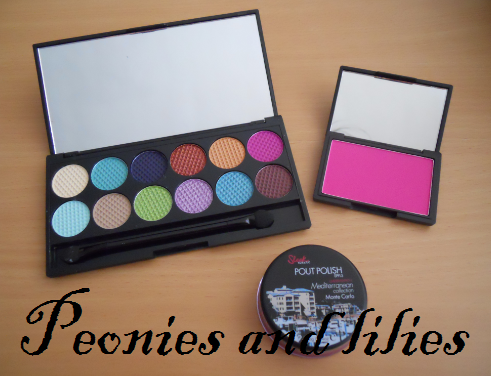 The eyeshadow palette has both matte and shimmery shades, and there's a good mix of bright and neutral colours. Santorini blush is very pigmented, so needs to be applied lightly. 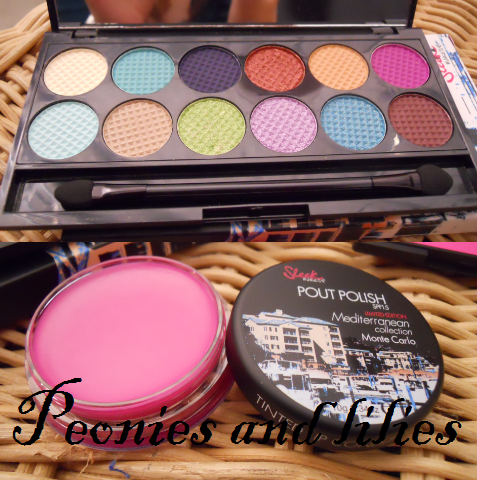 The pout polish on the other hand, is nice and sheer, and would be perfect for a hint of colour during the day. Inspired by the rainforest, the iDivine palette has a much brighter range of aquatic and sunset colours, as well as an orange blusher and pout polish. 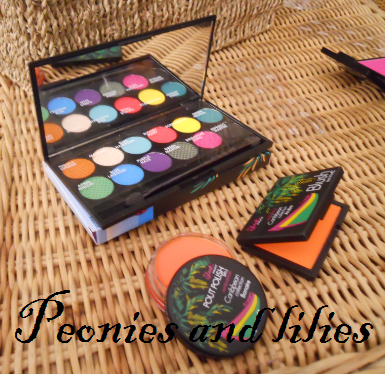 Unfortunately I didn't get to swatch this collection, so can't comment on the pigmention but I've included a close up of the products, so you can see the colours for yourself. What do you think about the new products? Which is your favourite out of the two collections? 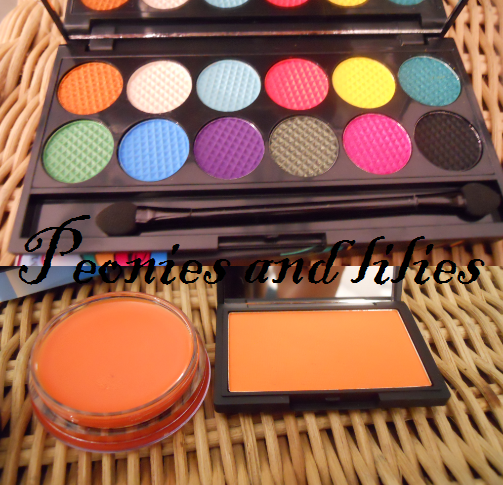 I am literally SO excited for these palettes, they're right up my line of make up! :). I'm definitely feeling the Med palette more, but only because I can just imagine more make up combinations for me personally. But I hear it's unsure when they are being released?! I love sleek! I'm a new follower!